KINSHASA, Congo (AP) — An early-morning fire in Congo’s capital destroyed nearly 80 percent of the capital city’s voting machines just 10 days before the presidential election, officials said Thursday, saying the blaze appeared to be criminal but vowing that it would not disrupt the vote. The fire destroyed equipment planned for use in Kinshasa, Congo’s largest city with 4 million people. Nearly 8,000 of the capital’s 10,368 voting machines were ruined, said Corneille Nangaa Yobeluo, president of the national electoral commission. He said despite the severity of the damage, the electoral commission would hold the elections as scheduled on Dec. 23. U.N. deputy spokesman Farhan Haq said firefighters from the U.N. peacekeeping mission in Congo helped put out the blaze. “Preliminary reports indicate that polling station kits from Kinshasa and a large number of voting machines and electoral materials were destroyed in the fire,” Haq said. Kabila’s chief adviser said the fire was a criminal one and said that polling booths were also burned. “The enemies of democracy have stepped it up a gear,” Barnabe Kikaya said. 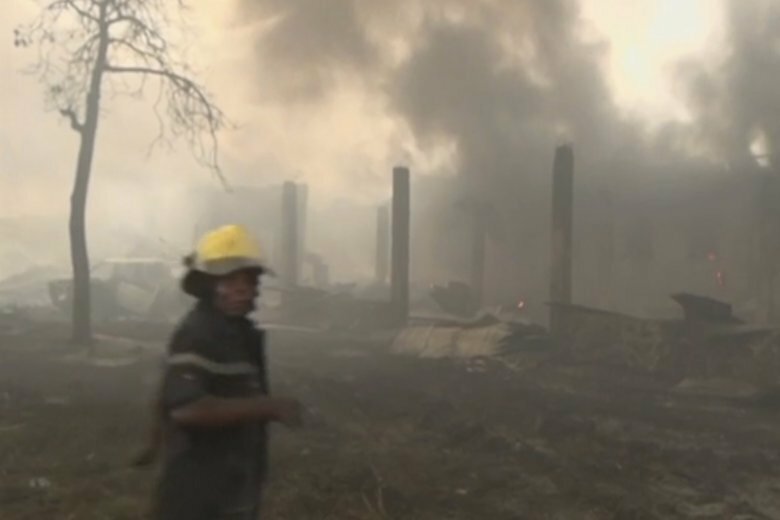 “We cannot make quick conclusions but the criminal hypothesis is not to be dismissed,” the minister, Henri Mova, said, noting that the fire had two starting points, suggesting a simultaneous beginning. Major questions remain about how Congo will be able to successfully use the voting machines in the infrastructure-starved country of 40 million voters, many without computer experience. More than 100,000 of the machines have been rolled out so far. Campaigning in the final days before the vote turned violent this week. Security forces opened fire on supporters of opposition candidate Martin Fayulu on Wednesday in Kalemie, killing a young woman, said Ida Sawyer, deputy Africa director at Human Rights Watch.